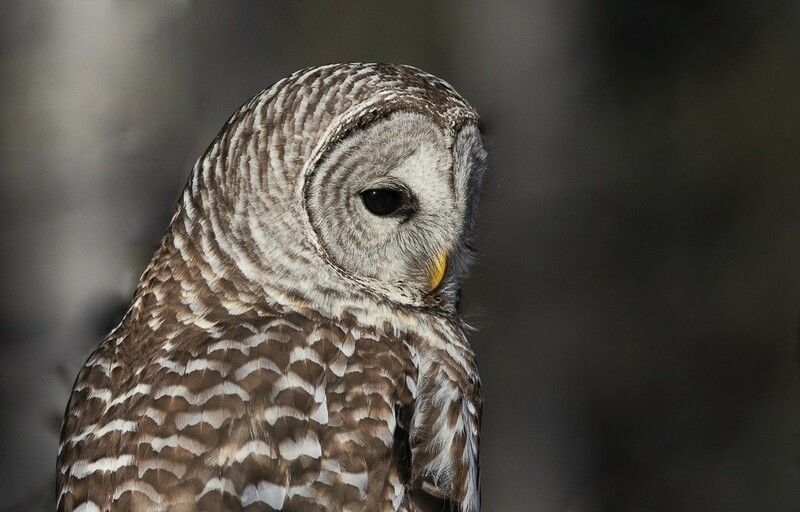 Here in Calgary there have been seven different owls seen this winter. 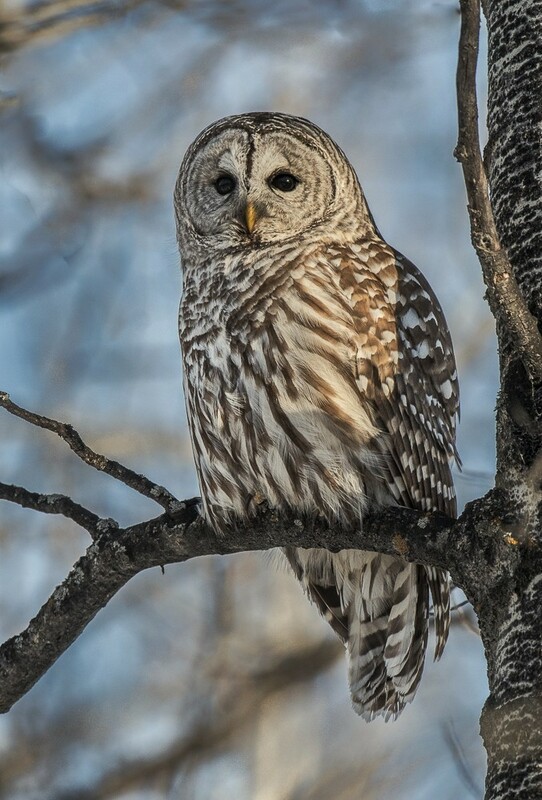 The Barred Owl to the the right was photographed in a Calgary park beside a busy bike path. As I observed the the Owl it was hunting and eating. I can only conclude that it is healthy. The owl was very photogenic as I observed it for four hours or more. It flew from one Aspen tree to another. It sat and observed the ground for any movement. Photographing the owl was difficult. The sun was shining and created shadows on the owl. I moved around keeping the sun to my back. I was trying to get a sparkle in those deep black eye. With no sparkle in the eyes, the eyes looked like two empty black holes. I was using my Nikon 500mm lens, so I was able to keep a distance as not to disturb the owl and maintain a smaller angle to get good backgrounds. I don't post technical info because I feel it is useless. For example, I could post the shutter speed and aperture but in post processing the exposure info will be different once processed. The trick to photographing owls, if you can, is to move around and photograph from different angles keeping the sun to your back. If you have a 300mm lens do you cropping in the post processing. Always give the owl its space.